This may be fulfilled by us as follows: we make our request within our room when, drawing our hearts within, away from the tumult of all thoughts and cares, we disclose our petitions to the Lord intimately and in secret. We pray with the door closed when we pray with closed lips and total silence to the one who scrutinizes not words, but hearts. We pray in secret when we reveal our requests to God alone from the heart and fervent mind, so that no hostile powers are able to recognize of what kind is our petition. 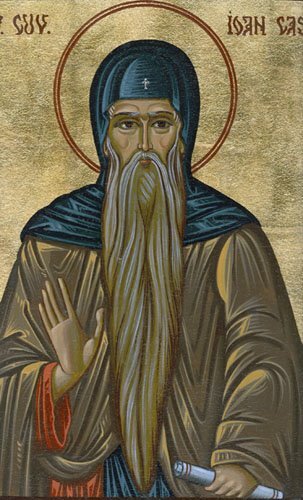 On this account, prayer should be made in complete silence, not only so that we do not distract the brethren by our whispers or cries and thus disturb the perceptions of those at prayer, but that the intention of our entreaty may be concealed from our enemies who particularly lie in ambush for us when we pray. Sunday after worship our Sunday School class listened again and again to the Isaiah passage, which I’ve read to them several times before. I love being reminded, as you have done, of its meaning. thank you. We’re studying Richard Rohr’s “Everything Belongs” – just beginning. And I think we’ll get a lot out of the study. Thank you, thank you for your blog, your sermons, sharing your gifts of spirit with us, Michael. I look forward to much more. Next Next post: Where is God in the Hatian earthquake?